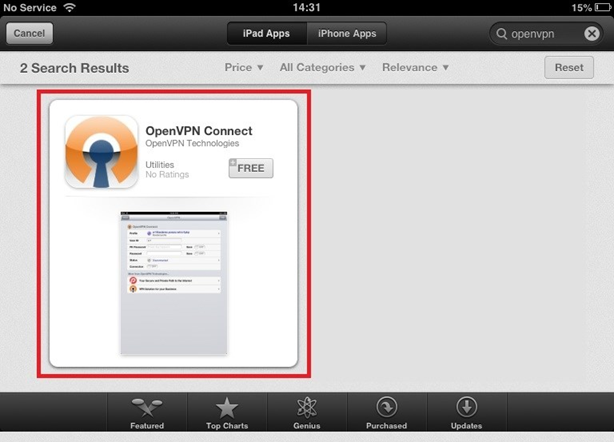 1) Download the OpenVPN Connect application from the App Store. 2) Due to restrictions on the iOS platform, you'll need to import the .ovpn configuration files by emailing them to yourself. 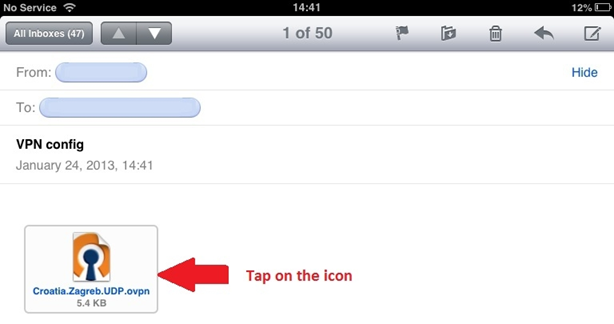 Attach them to an email, send it to yourself, and open that email on your iOS device. 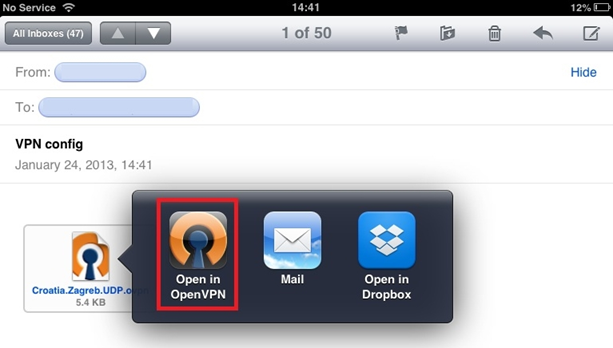 3) Tap on the attachment and select to open the file with the application OpenVPN Connect. 4) Click on the + sign to import the profile into the application and apply settings. 5) Once done, enter your RPNet Username and Password in the fields. 6) The connection process should take a few seconds. 7) Once established, you can see details of the connection, including data usage.